Only fingertips away... You can easily preserve your wonderful memories for centuries! Do you have tons of negative films stored in your room? Do you ever feel sorry for not being able to share those good-old-days pictures among your friends when you flip through your old album? Have you ever tried to digitize your photos? Do you worry about not being good enough to use the complicate software? Go for SmartPhoto F50, it can help you to solve these problems! SmartPhoto F50 is the most easy and simple solution for scanning your films and slides. 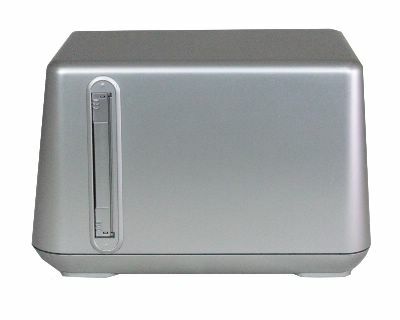 Extreme light weight and compact design, the SmartPhoto F50 can not only be easily carried around the office or at home, but also can be easily stored anywhere. 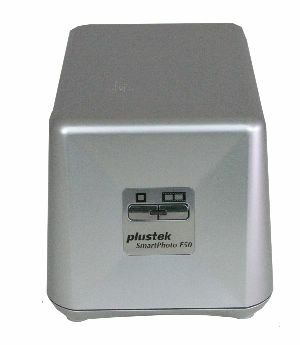 More than that, SmartPhoto F50 does not require any power adapter. 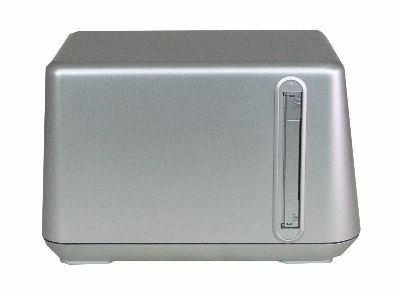 SmartPhoto F50 is a digital film scanner that can scan images into high-resolution 5.0 Mega pixel quality. With 24 bits per color channel, your images will be transferred with amazing clarity. Also, it features automatic color balance and exposure control to make the most of all of your 35mm film trips and slides. So that you can preserve them in your PCs or digital photo-frames or even e-mail them to your family and friends. To operate SmartPhoto F50, you need only to press the function button, and then images will automatically come right on to the computer screen without making any setting or complicate steps. 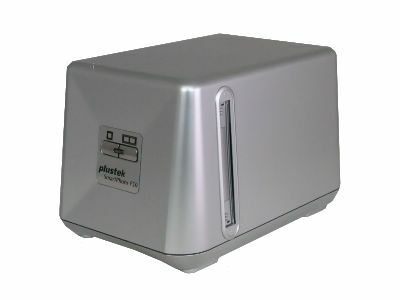 It comes with bundled Plustek FotoLite software and friendly interface design for ease of use. For someone, who has no strong computer background can learn the software functionality in a few minutes. SmartPhoto F50 has brought the conservation concept into its design. By using USB power for less energy consumption, and using non-toxic material and ROHS standard for environment friendly purpose, SmartPhoto F50 is not only a green product, but also makes your memories fresh as ever! 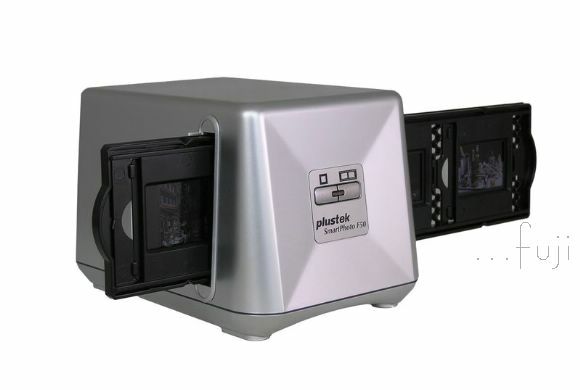 SamrtPhoto F50, a light weight film scanner is readily available. The size of SamrtPhoto F50 is almost the size of your palm. You can use it at home when having a party with friends or relatives or at work. 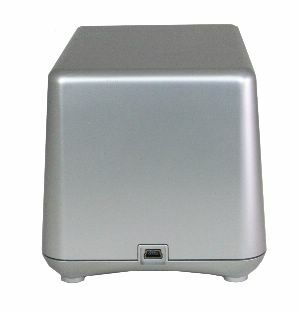 As well as you can store it anywhere. 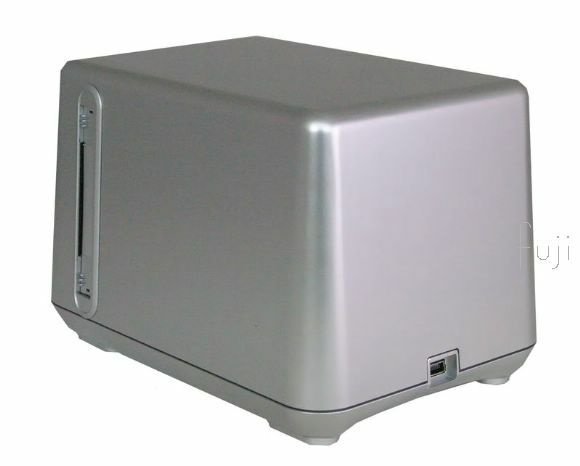 The widely used USB interface provides an excellent digital image transmission and bus-power so there's no need for an AC adapter or batteries. This USB 2.0 cable is designed to connect SmartPhoto F50 directly to your computer's USB port. It works without any complicated setting process. 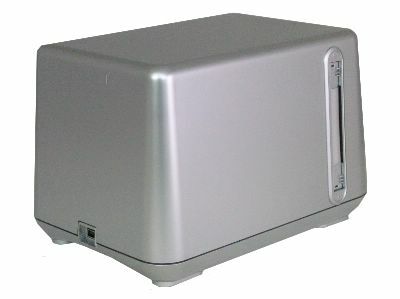 SmartPhoto F50 is an economical 35mm-film scanner and a high-resolution 5.0 Mage pixel sensor. 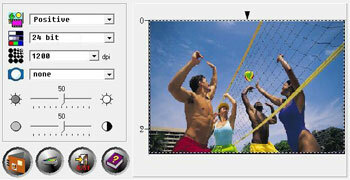 With automatic color balance and exposure control, it converts your films and slides into 1800dpi high-quality images. SamrtPhoto F50 can convert your tones of films and slides into digital format in 8 seconds. Also, it provides you to see the real-time preview of your films and slides in full color that allows you to adjust your image before you scan it. It¡¦s very easy to operate the SamrtPhoto F50. What you need to do only is press two buttons then the images will come up on your screen automatically. Press the right button for scanning the films and press the left button for scanning the slides. Those images can be preserved in your PCs or digital photo-frames, or even can be e-mailed to your family and friends. One is for slides, holds up to four mounted slides. 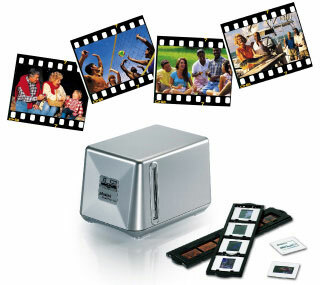 The other is for filmstrips, holds a piece of filmstrip, up to 6 frames. Using the film holder, the media are well protected. There will be no physical contact with the media during the scanning process. ImageFolio is a comprehensive multimedia image-processing program. You can create new images by using the ImageFolio's powerful tools. This sophisticated set of image-editing tools enables you to quickly create new images or enhance pre-existing ones. Easy to manage and preview image files. TWAIN interface support for automatic fine-tuning during scanning. Image Manager functions as an image database and uses folders to manage and preview files.